The CORONAS project envisioned solar research missions during different phases of the 11-year long solar cycle. While CORONAS-I, launched in March 1994, operated during the solar activity minimum, CORONAS-F was scheduled for launch near the current 23rd solar activity cycle maximum. 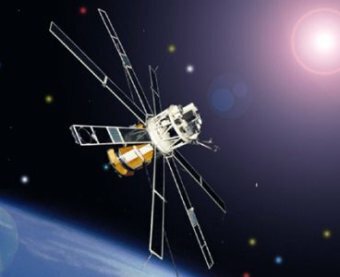 CORONAS is an international project prepared in cooperation between Russian and Ukranian space agencies and Academies of sciences. Taking part in the project are also Poland, Germany, Slovakia, France, United Kingdom and USA. The CORONAS spacecrafts are based on the unified AUOS-SM platform. This is the fourth generation of Automated Universal Orbital Stations, designed for complex studies of the physical processes that occur on the surface of the Sun and in its interiour. The platform was designed by the State Design Bureau "Yuzhnoye" (Dnepropetrovsk, Ukraine). Platform's weight is about 2 tonnes and it usually carries 300-400 kg of scientific payload.